This recipe is the perfect easy morning breakfast or a mid-day snack! 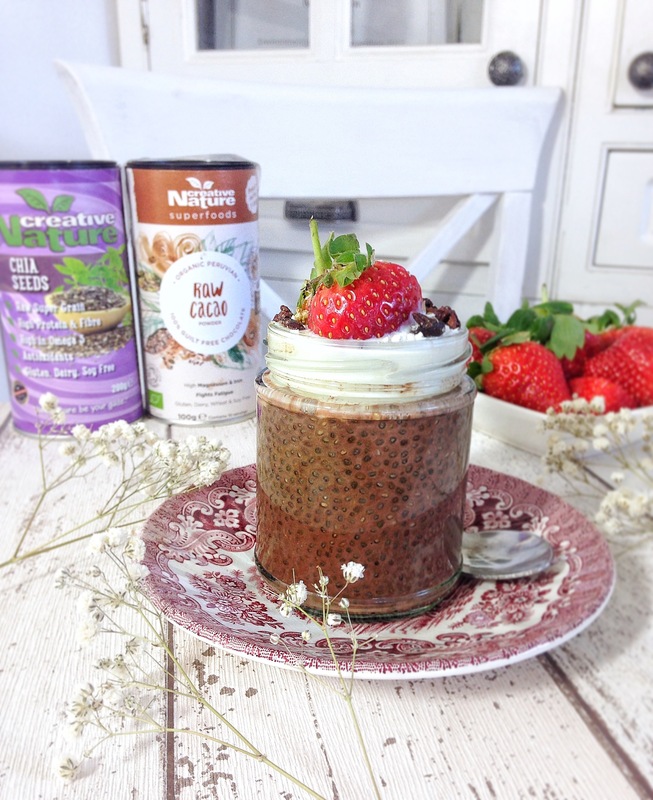 If you like Chia Seeds, then this recipe will be something you like! It’s also packed with delicious Raw Cacao Powder and Coconut so if you love the flavour combo of Chocolate and Coconut- you will love this! Keep in mind, you can really personalise your Chia Puddings and top them off with whatever you fancy! We like to top ours off with Cacao Nibs and loads of berries, but the options and combinations are endless! Toppings of your choice- we love Cacao Nibs, Vegan Yogurt and Berries! In a small empty and clean jar, pour in the chia seeds, milk, and a pinch of sea salt, give it a good stir with a fork. Then add the cacao powder and maple syrup and whisk well with the fork until all ingredients are combined. Cover the jar with a lid/cling film and leave in the fridge for at least 6 hours overnight to thicken. Once the chia seeds has absorbed the milk and it has become thick, top with the coconut yoghurt, desiccated coconut, cacao nibs and any fruit you like. Enjoy! Thank you to @nourishing.alex for the recipe!